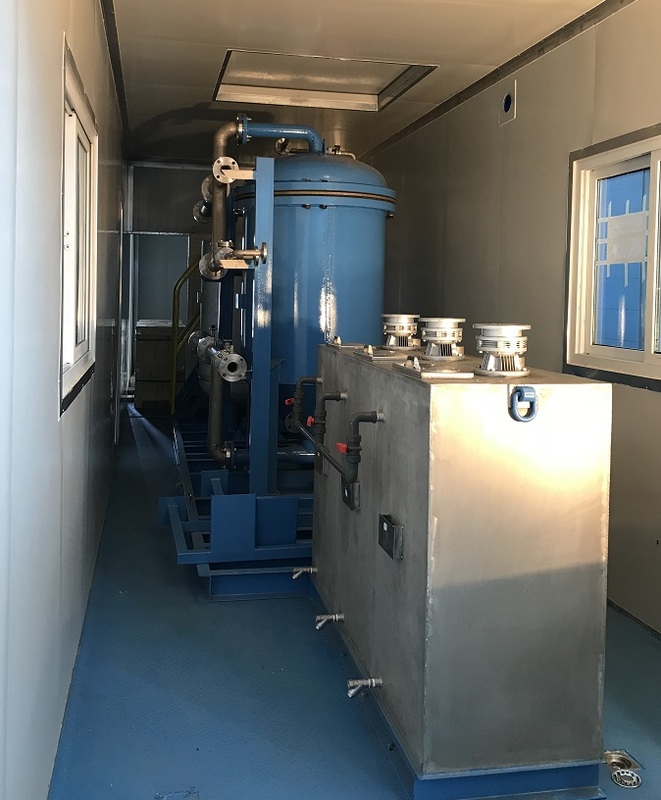 MGX Minerals Inc. (OTCQB: MGXMF) (CSE: XMG) and engineering partner PurLucid Treatment Solutions Inc. (“PurLucid”) are pleased to report that two sea containers containing a second wastewater treatment system have arrived from the pipe and metal fabricator. The system is scheduled for installation at an oil and gas operation in Alberta to treat evaporator blowdown brine. The system, capable of processing high salinity wastewater from SAGD operations, will remove colloidal and dissolved minerals for substantial water reuse, lower cost and reduced environmental liability. These wastewaters contain lithium in the 100ppm range providing an initial commercial platform for this widely applicable technology. This represents the second system built for this purpose. The first system completed large-scale trials and client acceptance testing and is scheduled for deployment as soon as on-site preparations for installation of the system are completed. PurLucid water treatment technologies, which purify wastewater and brine, have been integrated with a newly developed lithium recovery process. Combined, this cleantech process reduces the capital cost of recovery compared to traditional solar evaporation as it does not require the investment in large, multi-phase, lake sized, lined evaporation ponds, greatly reducing the physical footprint and enhancing the quality of extraction and recovery across a complex range of brines previously considered un-processable due to complexity or geographical location outside of solar evaporation appropriate zones. This includes oil and gas wastewater, natural brine, and other brine sources such as lithium-rich mine and industrial plant wastewater. The technology was recently chosen as winner of the Base and Specialty Metals Industry Leadership Award at the 2018 S&P Global Platts Global Metals Awards, held in London earlier this month (see press release dated May 18, 2018). Hosted by S&P Global Platts, a leading global energy, metals and commodities information provider, the annual awards program honored exemplary performance in fifteen categories spanning the entire steel, metals and mining complex.